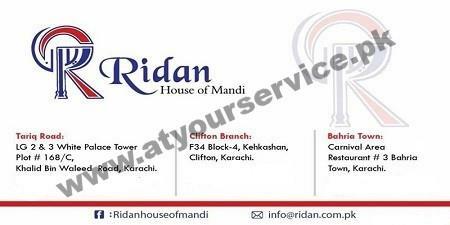 Ridan, House of Mandi is located at Block 4, Kehkashan, Clifton, Karachi. Ridan is an Arabic restaurant which offers best quality chicken and mutton with rice. An elegant ambiance which gives pure Arabic environment.